Satiate your sense of wanderlust and take an edible journey around New York City with food and travel journalist Tracey Ceurvels. In The NYC Kitchen Cookbook, Tracey shares her tasty adventures with foodie fans nationwide and explains how to use the flavorful ingredients found in NYC to make simple yet sensational meals for any occasion. 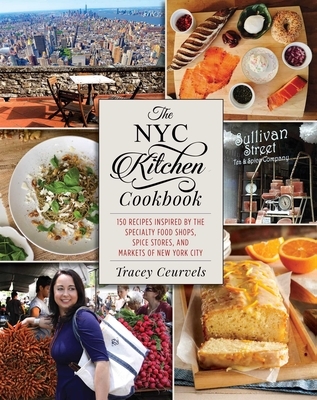 Tracey Ceurvels is a food and travel journalist and the creator of popular cooking and lifestyle blog The NYC Kitchen. She has been published in the Boston Globe, the New York Times, the New York Daily News, Relish, and Time Out, among other places. Tracey resides in Brooklyn, New York.